"A Fierce Glory offers spectacle over detail to the benefit of understanding." It has been asked before, regarding topics which have previously received considerable attention from the publishing world: Is it really necessary for another book on this subject? J. D. Dickey’s new book Rising in Flames could be subtitled A Politically Correct Guide to Sherman’s March. It is equal parts social history and military history. "The result is an enlightening telling of America's most famous killing." In the spring of 1861, scant months after the secession of the southern states and the commencement of the Civil War, the United States government was faced with a crisis of logistics. The author might have led the reader to think of New York City as chock full of sedition during the Civil War. It may have had more than its share. The presence of many prominent and not-so-familiar foreign individuals in the ranks of both armies in the Civil War is well known, especially Irish and German. History as documented through the image has a short historiography. Until recently, even the nobility lacked multiple images or sometimes any likeness at all. One standard for a good book is that it could be a reference for other good books. History, Military History & Affairs, Civil War (U.S.), U.S.
“In one volume, Earl Hess has given readers as complete a study as can be found of this theater of battle. In this first of four volumes, the editors present a chorus of contemporary voices to give the reader an unusual portrait of the Civil War. 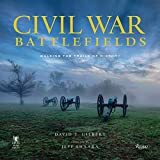 History, Civil War (U.S.), U.S. Under the command of General Joe Johnston, the Army of Tennessee blocked Union General Sherman’s invasion of Georgia and his move toward Atlanta. H. Donald Winkler has researched the lives of nineteen daring women who changed the outcome of Civil War battles.